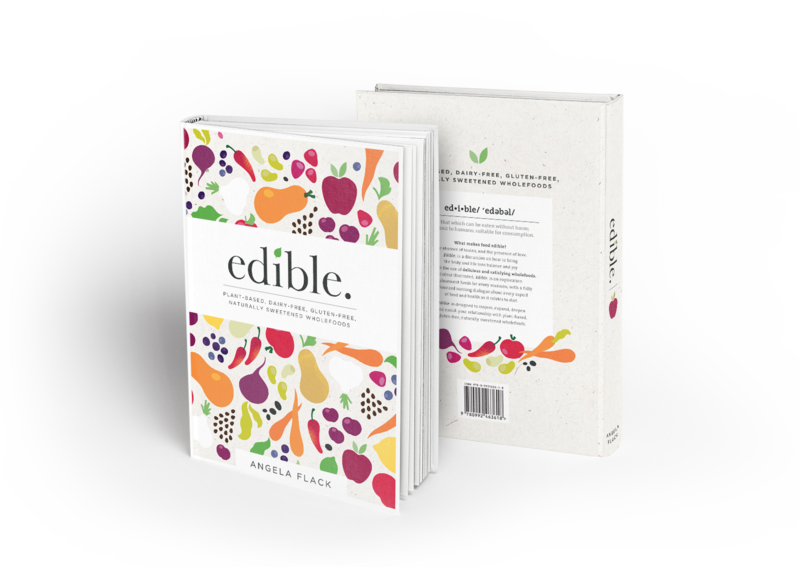 Revolution: An Edible Perspective | edible. The state of the world is questionable. The use of environmentally destructive power sources, such as oil, coal and coal seam gas dominates the market, where renewable sources like wave and solar, even in countries like America and Australia (who have vast stretches of desert which outstrip the populated land and are surrounded by ocean) go unnoticed and are deemed ‘unfeasible’. In the first world, many people struggle to make ends meet, most spend their lives fighting for the economic and social right to inhabit the land they were born to, and few have a sense of place and connectedness, with rates of exhaustion, anxiety, depression and suicide rising. Use of alcohol, tobacco, caffeine and other sedatives and stimulants is widespread, primarily as avenues to cope with, and escape from, an unsatisfying and challenging reality. In the third world, many millions of humans do not have access to food and clean water, live in overpopulated, harsh and inhumane conditions, and die of preventable disease—which those in the first world are protected from. Those in positions of power manipulate the information available to the masses, leading to widespread ignorance and confusion; even amongst the more educated echelons of society, disseminated information divides and provokes argument in the absence of cohesion or wisdom. Still today, men volunteer to kill, maim and control their fellow members of the human race, on the basis of incomplete, inaccurate or limited information, and in indigenous communities such as the aboriginal people of Australia, the current generation still echoes the trauma of complete cultural genocide, occurring within this (supposedly enlightened and civilised) century. On closer inspection, the underlying causal factors are complex, deeply entrenched, and perhaps unchangeable in our lifetime. The creation of a global economic structure which protects a privileged few, while exploiting and oppressing the majority, is unfathomable and yet resists change. Unfortunately, the lure of comfort, convenience and consumption has proved to override the human desire for equality; the ability to fight for the rights of an unseen, darker skinned neighbour is eclipsed by the allure of entertainment, ease and familiarity. Notions of progression and evolution are embraced and celebrated, though again, on closer inspection the constant demand for economic progression to support an economic structure which is failing the majority and resulting in the escalating abuse of the environment, the animals and those in the lower and middle classes (forming the majority of the world population) is certifiable insanity. Notions of consumerist culture to support economic ‘growth’ create a requirement for inbuilt obsolescence; products with a shelf-life of 2-3 years are disposed and replaced by people brainwashed to believe they are newer and better; cultural values promoted by effective advertising mean that keeping old things for reuse, adopting others leftovers and using what you have more effectively (with the exception of purchasing kitsch, expensive refashioned goods) falls within the realm of the less privileged (as something to be ashamed of and discouraged) and products which can be adapted, and intentionally last a lifetime are the nightmare of companies who depend on their inevitable destruction. Households struggle to pay for the electricity to heat and cool their fashionable, modern designer homes, which are poorly designed and make ill-use of the environment; the sun which warms and stone which cools. Houses are surrounded by turf which dries and dies, doesn’t cool or protect, requires constant watering, weeding and mowing, causing allergies and providing only the illusion of conformity and success, in place of real sustenance and connection with the land which sustains us. And then there’s the food. The advent of industrialization brought with it cheap, convenience food and drink, which would keep well to travel distance for centralized distribution, prove addictive to the people who consumed it, and provide the means to mobilize the women of communities out of the kitchen and into the workplace—doubling the labour available to spin the wheels of the capitalist machine. Cereal for breakfast, sandwiches for lunch and microwave frozen meals for dinner meant the women were free! —free to get out of bed in the morning, make their contribution to the economic ‘growth’ by selling their time 9-5; to send their children to daycare (if they can afford it), and to provide the second income to ‘make ends meet’. The cost of a ‘convenience’ life is becoming apparent in the elderly, and in the second and third generation. Babies born with peeling skin and life-threatening reactions to the cereal and milk which fed their mothers, to the corn which was engineered to feed a nation, and to the quick, easy and cheap protein sourced from cramped, miserable sick chickens sustained on antibiotics. So called ‘lifestyle disease’ now affecting our mothers, fathers and grandparents; with blame attributed at the individual level to those now the victim of the industrial movement—those humans who did not manage to spend enough time growing food, cooking, exercising, and relaxing in community—after they finished pulling themselves home from a long commute from a job sitting down in an office pushing paper to pay the rent (as powerless cogs in a large machine) and a weekend spent recovering, escaping, and searching for meaning while mowing the lawn and shopping for new gadgets and appliances… after the old ones broke. (Shame on those who did not care for their bodies, the lazy sods). Vitamin C which sustains and protects the cells of our bodies as we move through an increasingly toxic world, magnesium which relaxes our hearts and moves our muscles, vitamin B which allows our minds to be clear and positive; zinc which lines our stomach, sustains commensal bacteria and allows us to digest food, silica & vitamin D which keep our bone structure strong and integral, omegas which build the brain and reduce inflammation, and an abundance of phyto-(plant) chemicals which function to protect, support and grow our bodies—these are absent from convenience food, built on a model where food provides calories in and calories out to fuel the human ‘machine’. In the short-term, the result is insomnia, restlessness, anxiety, depression, brain fog, aggression, allergies, plaque, constipation, bloating, acne and a lack of vitality, and in the long-term, obesity, diabetes, gout, heart disease, osteoporosis and cancer. Convenient food is not only purchased and eaten conveniently, it is also farmed, harvested, stored and processed with minimal cost and human expenditure. This means the use of petroleum-fertilisers on dead soil in place of native and diverse bacteria and compost, the use of pesticides to kill bugs feeding on weakened plants, the use of round-up and burning to dry out plants and allow ease of harvesting, dousing silos with pesticides and gassing the grains to ensure maximum weight at point of sale; animals kept in cramped conditions, requiring antibiotics to control bacterial overgrowth (which then outbreaks in the people eating it), animals fed on inappropriate food with hormones for fattening and rapid growth, inhumane slaughter—all of this not just for ‘maximum profit’, but to allow the farmers to survive, to keep their land, own their houses and send their children to music lessons after school. Work within a capitalist structure (where time is money) allows for a limited amount of care. Even those dedicated to providing products of the highest quality are ultimately limited in their capacity to purchase and create the ‘products’ and necessities which would support, nourish and enrich humanity and mother earth, and still be competitive in a global economy with downward pressure. In small businesses, this means purchasing cheap, sacrificing family to work absurd hours (as well as exploiting employees) and for farmers, this means adopting unsustainable cost-cutting techniques, or selling out to larger corporations with more market sway and buying power. For mothers and fathers at home, or single adults working full-time and attempting to pay for food, transport and housing, this means that food—the preparation, consumption and purchase—often takes backseat to work, both the time spent commuting and working, and the activities required to ‘unwind’ from the constant pressure. There is no time to chew your food properly on a 45 minute lunch break, let alone to compost your soil, maintain a garden, harvest and wash your own fresh fruit and vegetables to prepare a meal three times a day. (Again, somehow the blame lands on the shoulders of the individual functioning within this system, as if it is some character flaw on their part for which they chose to subsist on coffee alone until lunchtime.) Humans are not meant to live in isolation, and the current nutritional crisis reflects this completely—childcare and food preparation are best shared throughout a community, not shouldered alone, and a television and a packet of potato crisps are not adequate replacement. Anyway, I digress. As a global people, we have gone a long way down the wrong road, and I cry for the communities abandoning their culture to adopt a uniform, Coca-cola, Hollywood existence. Escalating pressures on the current, inherently weak food system and rapidly degrading environment means that collapse may come—or we will continue to hobble along applying band-aid solutions, pesticides and subsidies, with a heritage for our children of allergies, obesity and spiritual dissatisfaction. The current breakdown in the food system, with accompanying health crises—is the end point in a long chain of economic and political developments which have now become deeply embedded and come with a payoff to a small few, making those who could change it, reluctant to. I’m inclined to call for a food revolution, along with the many others doing so. The slow food movement, community farms, food co-ops, local produce markets and boxes, organic, homegrown, permaculture and alternative food systems—these are all examples of people reclaiming their food sovereignty. Starting at the end point and working backwards, we can be sure that the physical health of humanity is salient— even the rich and famous are not immune to breast and prostate cancer, stroke or autoimmune disease. We each will be affected personally, by watching those we love suffer chronically, or by struggling ourselves with the physical impacts of ‘lifestyle’ disease. A plant-based, wholefood diet can bring with it healthy weight, reduced rates of acne, higher IQ, lots of antioxidants and lower rates of heart disease, breast and prostate cancer. Better nutrition requires rebuilding community, refocusing priorities and calling for structural change at the government & legislative level. While many are developing innovative endeavours in response to the desire for change, the problems are complex, holistic solutions are evasive, and we may not see change within this generation. We can begin though, by cooking wholefoods.